This pub is super cool with his gold grill. Looking more like a rapper than a dog, this is what happens to good dogs with crazy owners. 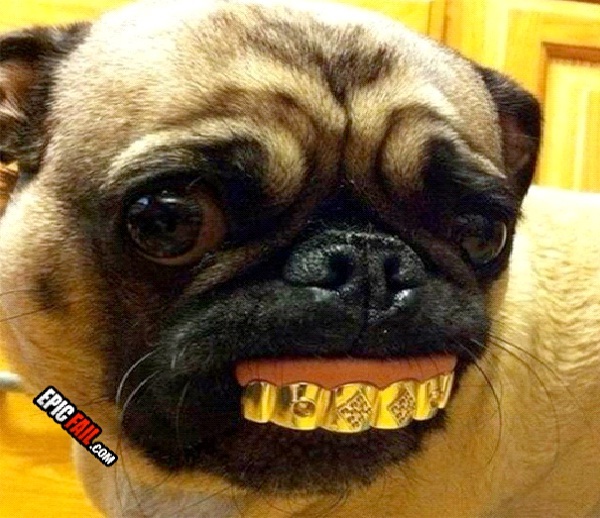 Thinking he looks dope, this little doggie has to walk around in dog world with a grill that makes him look like a thug.